Concerned about the health of your prostate? There are a number of things that you can do including making changes to your diet. Certain foods can be beneficial for men’s prostate health, including food that can help decrease the size of an enlarged prostate and other foods that can help your body fend off diseases that affect the prostate. Try adding more of these foods to your diet and make an appointment at our Phoenix men’s health clinic to have your prostate checked on an annual basis. Whether you want to smash it on some toast, add it to a salad, or mix it up for guacamole on Taco Tuesday, you can’t go wrong with avocados. Now your prostate is a good excuse to enjoy more of them. Avocados contain beta-sitosterol which has been shown to help decrease inflammation in the prostate as much as some medications. You’ll find beta-sitosterol in food like cilantro, pumpkin seeds, and wheat germ, too, but none of those taste as good on toast. Grow them in your garden or buy them at the grocery store, just stock up on berries. Berries are a terrific source of vitamins, especially vitamin C which has been shown to help reduce swelling in the prostate and encourage urination. 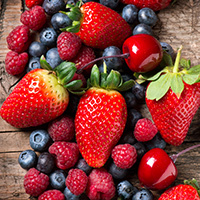 Berries are also packed with antioxidants which are the things that help fight free radicals in your cells. Mix berries in a smoothie or add them to a bowl of yogurt to get more of this goodness into your diet. You probably won’t be munching on a handful of sesame seeds anytime soon, but there are plenty of ways you can incorporate them into your diet. Toss them into your fruit smoothie in the morning or sprinkle them on top of your toast. You’ll be glad that you did thanks to their zinc content. Men with prostate problems are prone to have lower zinc content than men with healthy prostates, so it’s not a bad idea to increase your zinc intake if you are concerned about prostate issues. It’s starting to feel like green tea is the catch-all cure for a host of medical issues, but this stuff really does help. Green tea is packed with good old antioxidants. Not only will you urinate more frequently when you drink more green tea (something that’s good for your prostate), but the ingredients in green tea can help decrease inflammation throughout your urinary system. While it might be a good idea to decrease your consumption of red meat, feel free to stock up on the fatty fish. Certain kinds of fish like tuna and herring contain Omega 3 fatty acids. These fatty acids are used by your body to decrease inflammation throughout the body, and that could include the prostate. If you can’t stand fish, try adding more spinach and walnuts to your diet instead. 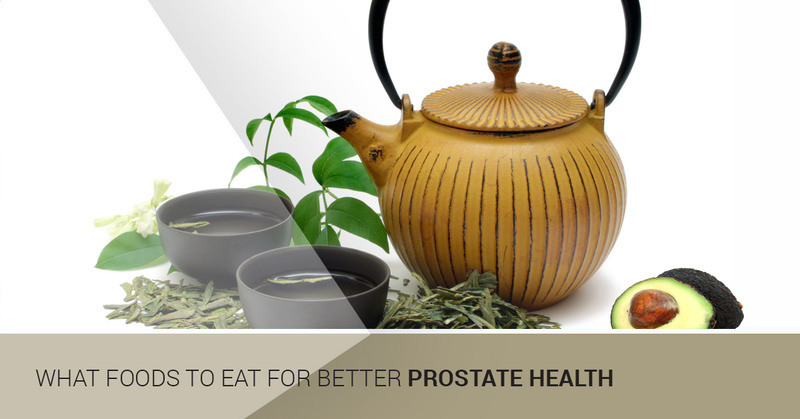 Looking for more tips on how to keep your prostate healthy? Make an appointment with the Men’s Vitality Center. You can reach us over the phone or by contacting us through our website today!